Domino's Pizza is the 2nd largest pizza outlet in the United States. The restaurant came into being in the year 1960 by Tom Monaghan and since then is offering delicacies to its customers. In the year 2004, Mr. Monaghan sold 93% of the company shares at nearly $1 billion to Bain Capital. It has over 10,000 franchised and corporate stores respectively in 50 states of America and in 70 economies. At Domino's Pizza, different Italian and American dishes and side dishes can be enjoyed with Pizza being the main focus. Even custom-made, traditional and other specialty pizzas are available as well. There are currently 13 consumer reviews about Dominos Pizza available. Share your review. The Dominos in Colonial Beach, VA must be one of the franchised or possibly manager owned locations. Whatever it is, corporate doesn't give a rat's behind about anything that does or doesn't happen there. While they have the capacity to put out a decent product, they ultimately determine not to. The pan pizza as described on television supposedly has two layers of cheese before you ever reach the toppings of the pie. On Dominos website, you have the option to add extra cheese, ex-extra cheese or extra ex-extra cheese, but in Colonial Beach, VA you will ONLY get cheese (2.4 ounces to be specific) - regardless of what you select or pay for. On our VERY last DOMINOS ordering occassion, they sent us half a pan pie without any cheese at all (just sauce). When I called them to complain, and since I had ordered extra ex-extra cheese, they said I ordered it that way. I told them that it made no sense for me, or anyone to order PIZZA without any cheese and that someone should have questioned that (They had my phone number). He told me that some people are lactose intolerant. REALLY!?! (Don't they make lactose-free cheese yet?) Still in my own defense, I asked him- if someone were lactose intolerant, why on earth would they order a style of pizza, that by the commercial's own description comes with 2 layers of cheese before they even begin topping it? Why wouldn't they order a different style pizza if they don't want cheese? He had no answer, he wanted to be arrogant and he wanted to ruin my night. He managed to do that, but never again. We refuse to eat at ANY Dominos ever again, because you just NEVER know what you will get from these people! It's a total crap shoot; you have no idea who you are dealing with, EVER! Look how Dominos hides corporate away from the public. If you think you are on their website now, you are WRONG. There isn't one. There really isn't much corporate control over any of the stores, Bain Capital owns most of the company, and there is NO ONE to complain to in the end, except the manager and you have to pray he/she CARES. I say BOYCOTT Dominos, don't eat there at all. If you do, then deal with it. Sorry. the ad in which the man spits out the fish is not only disgusting but detrimental to children. It's difficult enough to get kids to eat fish without them having watched this ad. Pizza is fine once a week or so but kids need a variety of foods & your profit potential doesn't justify an ad that would discourage them from eating other foods. bad taste to use halibut in the context that domino's did. I was on a trip with my family and was staying at a hotel in college park, Georgia. We called the local dominos after being hung up on three times we were finally able to put in our order. The gal on the line was rude and kept putting us on hold. Our order went in at 1915 and was finally delivered at 2040. The two pizzas were cold, the dessert pizza was hard and they delivered the incorrect drinks. When we called back to the store located on Roosevelt highway and Atlanta, Georgia. We were told that if we wanted at least the correct drinks it would take another hour and then was hung up on again. Since we had a five am flight the next morning we opted to put the pizza in the micro and to purchase drinks that we could drink out of the pop machine. So our 30 dollar order turned into a 50 heartburn. This was the worst customer service that was ever given the food was cold and incorrect and the customer service was rude and disrespectful. I wont be recommending Dominos to my friends and family I was very disappointed. I just experienced the worst service of my life! Guthrie OK has a Dominoes store that CAN NOT get an order correct! I love the artisan pizza's but have yet to have one delivered in a timely manner. Tonight it was over 3 hours to get a simplw pizza delivery. Once it arrived the pizza was cold and the order was incorrect. This has happened over and over again! In the past two years we have had one correct order in about 20 attempts! We never get any of the extras we order ie dipping sauces or cinnamon treats or Parmesan bites. I will not attempt to order again - there is a PIZZA Hut, a Mazios and a KEN'S PIZZA in town nearby and we will find others to do Business with. We own and operate 2 bed and breakfast inns and we have purged the page about Dominoes from our suggested merchants book. Its time corporate cleaned house and started over in Guthrie. I ordered 2 pizzas yesterday and ordered it at 12.15pm to arrive at 2.00pm. I gave a clear address, directions, to go into the building and the company name. It said on the tracker that the deliveryman had left at 1.44pm and the local one is 2 miles away. 25 minutes later I called and was told he arrived and waited outside the building doors and never entered to go to my business doors. Then they sent him back and again I waited 20 minutes, he never showed up and 10 minutes later I called the location. They said he was waiting outside even though they said he would go inside. I then waited outside for a naother 20 minutes and her arrived, pizza stone cold and I paid by card online and he said their card machine ran out of paper so there was nothing for me to sign or even a receipt. I called up and they said they were too busy to do anything and didnt even say sorry. The cost was $21/. I would love a refund and if Dominos HQ WANT A LOYal customer back then my email is pyattnet@aol.com for them to get back to me for a complete lack of business ethics. I have been ordering from Domino's store #4180 in Douglasville, GA regularly for over a year. A few days ago, I ordered the 2 pizza for $5.99 deal online and while one of my pizzas was great, the other was overcooked, literally black around the edges and it was really dry. I contacted the store and the manager was nice and gave me a credit for one large pizza. I didn't ask for the credit, the manager offered it to me after she explained there are two ovens that cook at different temperatures. Apparently one of my pizza's was placed in the oven meant for cooking wings or other food that requires high heat. I called tonight to order the credited pizza and add a medium. Well, in order to get the 2for deal price I had to order two medium pizzas in addition to the credited large. I told the employee that I didn't need three pizzas and just opted to add a small pizza for $6.99. After fees and taxes this $6.99 pizza ended up costing more than $10.00. The employee was short in her comments and responses and to make a long story short I told her to forget the entire order. I'll call somewhere else or pick-up a frozen pizza at Kroger to avoid the attitude and lack of customer service. The pizza is great when it's cooked correctly, the customer service needs some work. we ordered a large extravanze, hot wings, and the cheese bread. the pizza was so over done it was like eating card board. the hot wings were not hot wings but the other ones they offer, the cheese bread was good. I called and asked to speak to the manager. they put me on hold. I was onhold for 22 min then hung up and re dialed them. I was so disappointed in the way thet the manager seemed to blow me off. I am calling corp. in the morning. we have gotten good pizza in the past from this store, but I don't think I will order again from them. We ordered online, got a confirmation and the pizza was never delivered. Our phone number was correct as was all the information. The next day I called and was informed the store was not delivering to our area and we should of used another store and that we were supposed to pick up the order. Might of been nice to get a call to let us know that. Also the "general manager" would only refund the order in cash if I drove the 20 miles to his store to pick it up. When asked for the supervisor or owner, he stated he was the only one to talk to and I had made the mistake and was lucky to be offered my money back. Driving in traffic to and from, 40 miles and an hour and a half does not seem lucky nor customer friendly. That might be the reason Papa Johns and others are so popular! It helps not to rip off the customers that have been loyal....looks like Dominos Pizza has lost again...wonder how many friends, family, tweeters and every other way I have to spread the word and how many pizzas will stop being ordered as a result of an ignorant employee? 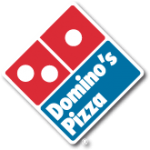 Please take a note that you are about to post a public review about Dominos Pizza corporate office on CorporateOffice.com. This review will be public, so please do not post any of your personal information on this website. If you would like to contact the corporate offices of Dominos Pizza, please use their contact information such as their phone number, website, and address listed above to contact them. However, sometimes staff from Dominos Pizza headquarters do read the reviews on this website.